Continuous improvement is one of the main values of Agile and retrospectives should play an essential role in supporting this process. In his short and free book “Agile Retrospective Kickstarter”, Alexey Krivitisky provides some exercises that should help Scrum teams to get the most out of their retrospective meetings. Alexey Krivitisky proposes a five-staged framework to organize your retrospective: set the stage, gather data, generate insights, decide what to do, close the retrospective. The book contains exercises for each of these different moments, each with a specific goal. These exercises can be combined to form your retrospective agenda. The books discusses also some of the common issues around retrospectives and some special situations, like the distributed retrospective. 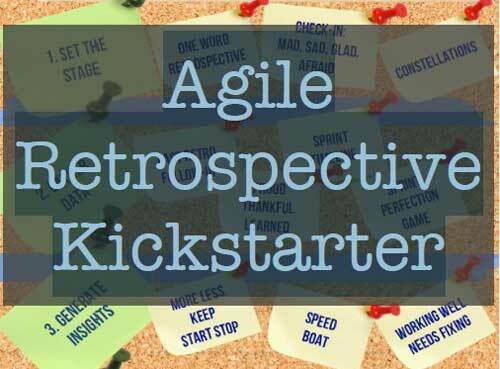 Agile Retrospective Kickstarter is a book that every scrum master and Agile team member should read and refer to when having trouble to plan for the next retrospective. This free book is also available in French, Polish and Russian. My definition of “good retrospectives” is that you’re first allowing the team to spend enough time uncovering the hot and trembling topics that are important to them; and then let them engage themselves in meaningful discussions on improving their future. My definition of “great retrospectives” is that despite of the good structure, meaningful discussions and the overall constructive atmosphere, the teams actually spend enough time and energy between the retrospectives working out the agreed action plans and changing their habits and environment. Don’t allow people to complain, look for excuses or lay blame. It is probably more important to watch out for these destructive behaviours than to have a good-and-sweet agenda. ScrumMaster has an authority to stop that by teaching and mentoring its team.